BUY EUROPEAN & RUSSIAN FINE ART NOW! Are you planning a whole new antique design in your room. We have the right paintings for you! 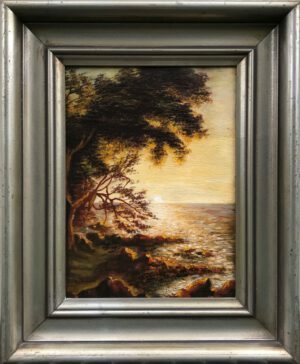 Certificated Fine Art Paintings from well known and listed artists are giving your interior an unique and antique atmosphere. We are specialized in original European fine art paintings from the 19th Century. The base of our collection are landscapes, still life and genre paintings. Every paining has its Certificate of Authenticy. Last year we started our Contemporary Art Collection. Unique Works by known and talented Artists. We are supporting projects of local & international newcomers. Russian Fine Art is an important sector of our Gallery. We are buying & selling Russian Art for more than 15 years. For a special request, please contact us. Not every painting is published in our online gallery. The Davidjan Art Gallery is one of the leaders of 19th Century Armenian Art. Russian, Turkish or French School. Our collection includes works of Georgy Z. Bashinzhagyan, Wartan Mahokian, M. Givanian & more.